Ukrainian-American exercises Sea Breeze 2019 will be held in Mykolaiv, Kherson and Odesa regions and will include the implementation of tasks according to NATO standards at sea, land, air and under water. A conference on the planning of the Ukrainian-American exercises Sea Breeze 2019 began in Odesa on Monday, the press service of the Defense Ministry of Ukraine said. "It is assumed that international exercises will take place in the northwestern part of the Black Sea, in Mykolaiv, Kherson and Odesa regions," the Defense Ministry said. Thus, within the framework of the conference, it is planned to complete the clarification of training tasks, develop a draft scenario and training plan, as well as prepare staff for planning operations in accordance with NATO standards. "The main advantage will be the scale and unique format of the maneuvers, since the military personnel of the Ukrainian Naval Forces together with partners will perform tasks according to NATO standards wherever possible - at sea, land, air and under water," the Defense Ministry stressed. As reported, Sea Breeze has been held since 1997 annually in accordance with the 1993 Memorandum of Understanding and Cooperation in Defense and Military Relations between the U.S. Department of Defense and the Ministry of Defense of Ukraine. 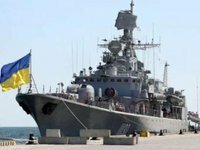 They are held with the aim of preparing and increasing the combat readiness of the Navy of the Armed Forces of Ukraine on a bilateral basis, but are open to other countries.